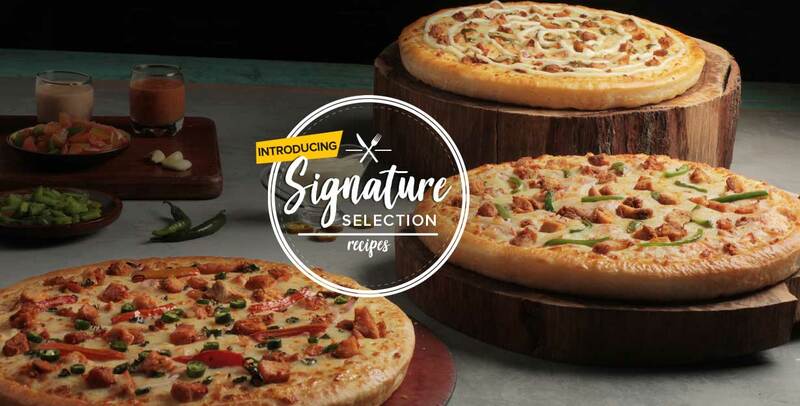 Order Signature Recipes | 14th Street Pizza Co. BOLD NEW RECIPES,INSPIRED BY YOU. Choose from a variety of flavours on any of your crust. A combination of diced chicken mughlai, onions and jalepenos spread over our signature fiery sauce and drizzled with our secret creamy garlic dressing. A twist to the classic pizza, the Peri Tikka Fusion is made with the original Peri-Peri sauce that is topped with marinated pieces of chicken tikka, onions, and green pepper. A delightful mix of chicken fajita chunks, onions, green chillis, and tomatoes atop our homemade creamy garlic sauce.